In Europe, wolf persecution was so strong that in the middle of the 20th century, the species was decimated in some countries and strived to survive in others. In the 21st century some conflicts still persist and others are new. In some countries, lack of natural prey, habitat loss and unprotected livestock contribute to wolf attacks on domestic animals, whilst in others, conflict lies in wild prey competition with humans as well as the fear to coexist with a large predator. Nonetheless, wolves are apex predators whose role in nature is undisputedly acknowledged by all researchers alike. The species ability to control prey density and health is a valuable asset in a crowded and humanized continent, such as Europe. Wolves can also contribute to boost rural communities economy through ecotourism, as success cases demonstrate. Moreover, several European country polls have shown that wolf conservation is supported by a vast majority of the population. Within the scope of EU Habitats Directive, countries have the obligation to maintain this species favourable conservation status. What does that mean to a persecuted, resilient but yet sensitive, social and sophisticated species like the wolf? How can we make amends with our troubled past relationship with this animal? How can we coexist? Wolf persecution has brought unbalance to the ecosystems but moreover, its effects are still hidden to the human eye. Several wolf populations underwent genetic bottlenecks, which means that even though today they have increased in numbers, they are still vulnerable to environmental changes and diseases due to low genetic variability. When culling is an accepted practice, managers do not know if the culled individuals have a special genetic value for that given population. Thus, the perpetuation of a cycle of recovery/decline may lead to an irreparable loss in wolf’s genetic pool. As social animals, wolves are sensitive to what happens to the rest of the pack. Indeed, researchers have shown that culling induces higher depredation rates in livestock due to the social disruption caused by the removal of individuals. If culling is not the answer to conservation and to decrease livestock attacks, how can we coexist with this large predator? Non-lethal management tools provide the best answer so far. 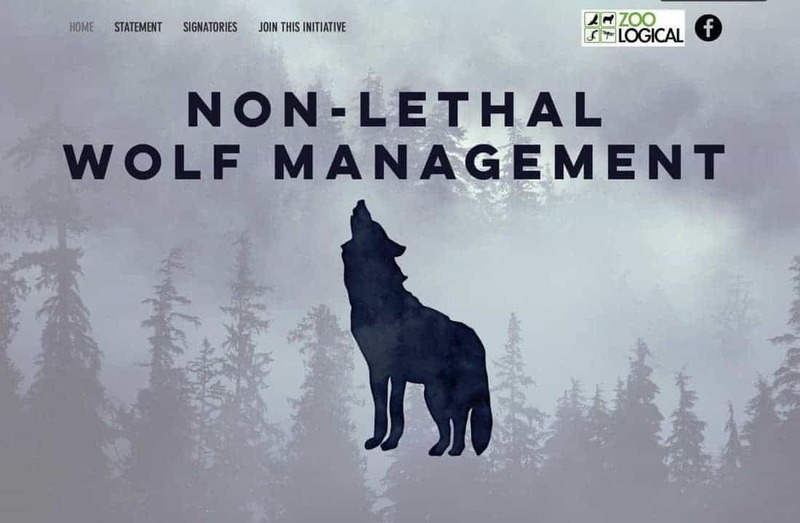 Traditional methods, such as human surveillance, the use of livestock guarding dogs, combined with electric fences or turbo-fladry have the potential to mitigate wolf attacks and represent a sustainable and ethical solution for the long run. Research is ongoing and innovative solutions such as bio-fencing might be valuable in the near future. From an ethical perspective other questions arise. Is it legitimate to cull social animals that depend on the family group to survive? Animals that remind us humans of our best assets and values? Wolf individuals do count from a biological and ethical point of view. For all the reasons above, any plan that uses culling as a management tool, even with an exceptional basis, should not be accepted. Only non-lethal management tools can provide a sustainable solution to coexist with large predators. IF you disprove lethal control as a wolf management tool and strongly support the use of non-lethal coexistence methods to promote species conservation please sign the petition now. My name is Jan Olsson and I come from Vechta/Lower Saxony in Germany. I am a graduate engineer for Landscape Management with an emphasis on wildlife biology. For years I have committed myself unsaleried in conservation organisations. We have a “Goldenstedter Wölfin/female Wolf” here. Some politicians wants her death. (A few weeks ago a wolf was killed in Germany for the first time on comand of Mr. Wenzel, mInister of the enviroment of lower saxony). Some sheeps were killed by her, but they were not protected. So it was very easy for her. “The Wölfin”will have puppies in the near future… But the politicians want her dead… So I have been started a petition since Dezember 2015. Until today over 111.000 friends of the wolf have signed the petition to stop the killing! I promised her from my heart to protect her, in any legal way. Please have a look at the petition “Mit dem Menschen! – Für den Wolf!” And if you want, help the wölfin please, too .